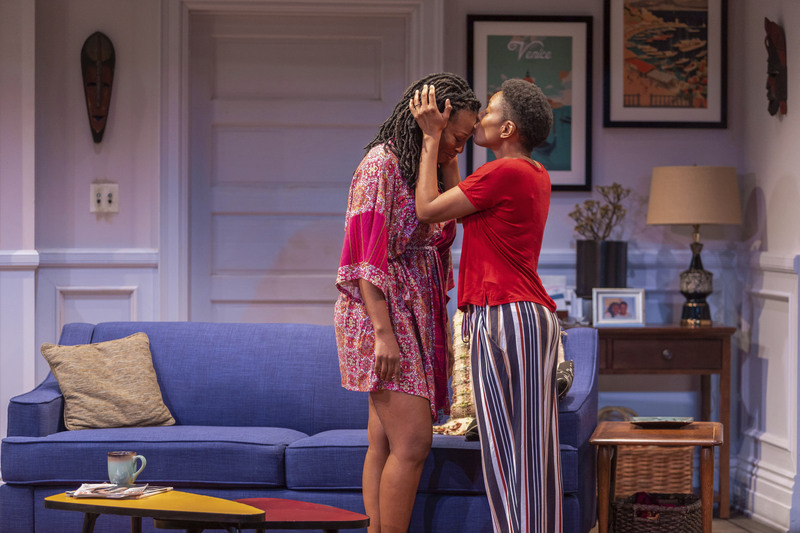 The Denver Center Theater Company proudly presents the world premiere of Donnetta Lavinia Grays’s moving play, LAST NIGHT OR THE NIGHT BEFORE playing now through February 24th. 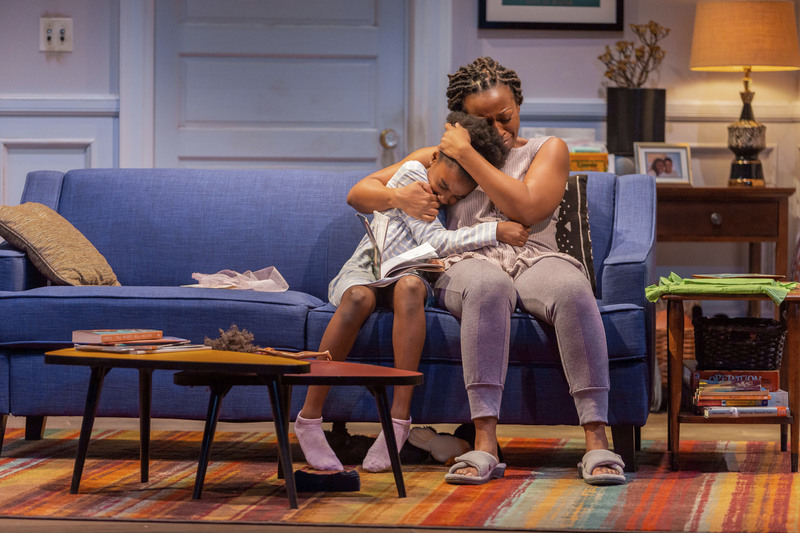 When Monique and her 10-year-old daughter Samantha show up unexpectedly on her sister’s Brooklyn doorstep, it shakes up Rachel and her partner Nadima’s orderly New York lifestyle in this poetic, powerful and remarkably touching drama. Monique is on the run from deep trouble and brings their family’s Southern roots with her, grabbing hold of Rachel’s life more ferociously than she could have ever imagined. This 2017 Colorado New Play Summit featured play explores the struggle between the responsibilities that are expected of us and the choices we actually end up making. First I have to applaud this gifted playwright on a moving and memorable play that truly touched my heart. The entire script was a heartfelt and poetic work of art dealing with such personal issues as family, lovers, drug abuse, and ultimately SACRIFICE. Even though I cried harder than I have during a production in quite awhile, this is one show that I could go see again and again and get a different personal pearl to take with me everytime. 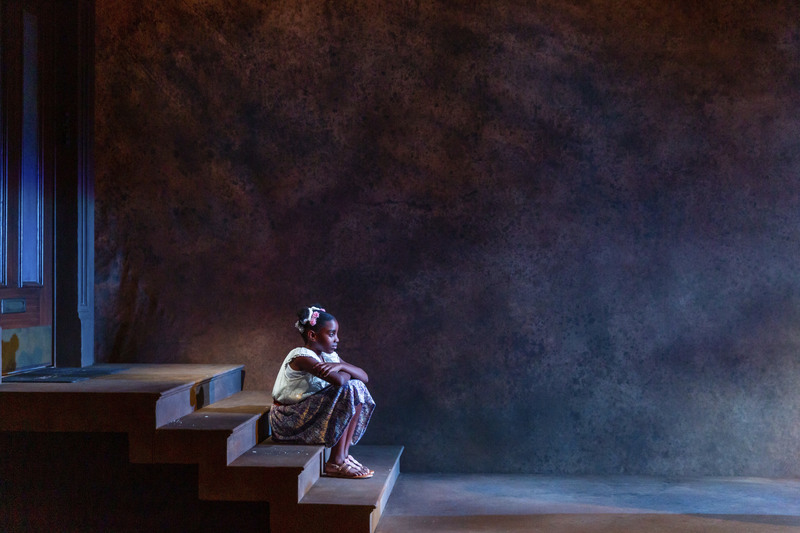 This play with ultimately lift your spirit but break your heart. The show instantly starts with an intensity level of 10 and demands the audience’s attention. Act One is completely shrouded in mystery and I wondered at intermission where we were going next. Act 2 was full of shocking confessions, ultimate fates, personal memories and lots of emotion. This talented ensemble truly moved me and the audience, and elevated this production to am passionate evening of theater. I have to admit that I have never been more impressed by an young talent than witnessing Zaria Kelley perform onstage. At the age of 9, she moved me to the point of tears. Not only did she develop such a lovely character arch, she also displayed a certain growing maturity in the role of Sam and the audience instantly fell in love with her. This is one little actress that I will be keeping an eye out for in the future. 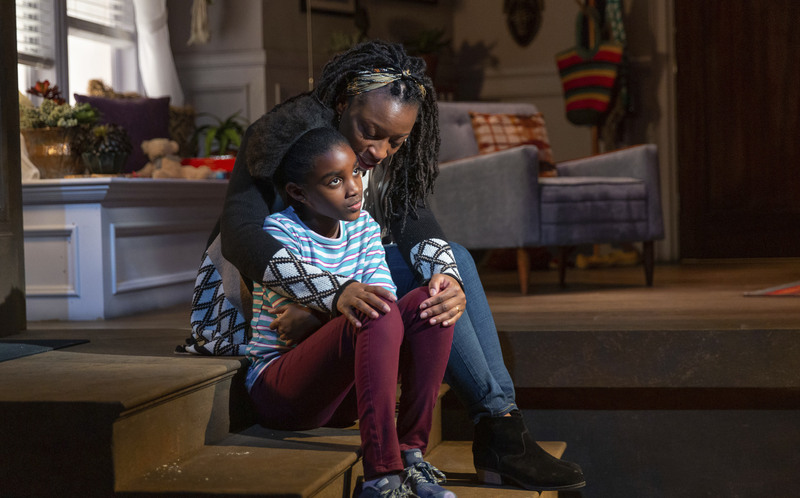 Keona Welch absolutely broke my heart as Sam’s Mom, Monique. She was mysterious throughout Act One, but in Act 2 she accepts her fate and stirs the feelings of everyone in attendance. To further devastate the audience, we see snippets of her personal history as a young amazingly gifted poet, and proud pregnant mom transforming into an unfortunate drug addict. Bianca Laverne was a picture of strength and confidence as Monique’s sister Rachel. Her transformation throughout the show was thoroughly remarkable to watch. Erin Cherry gave us such a lovely varied performance as Rachel’s lesbian partner, Nadima. Her protectiveness was impressive, her love for her partner was heartwarming and her ultimate sacrifice brought a tear to my eye. Job very well done. Reggie was a fascinating character and superbly played by Sharod Choyce. 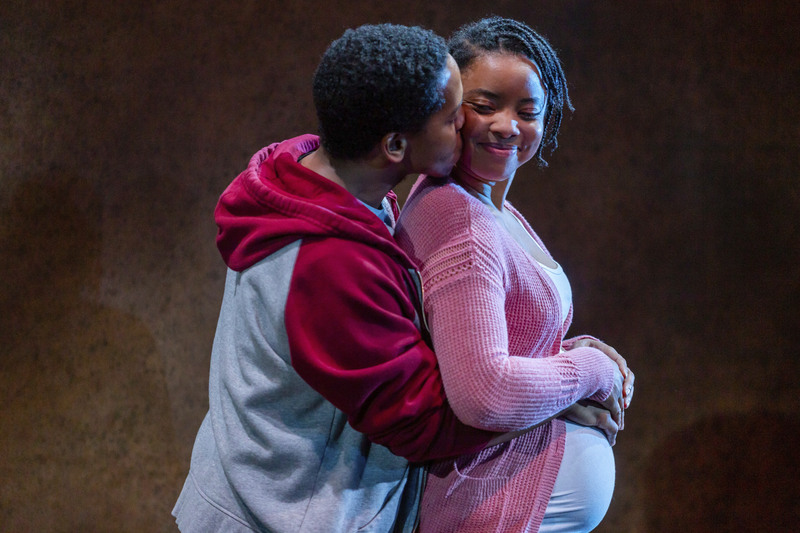 We could not figure out if he was a good guy or bad guy in Act One; however, Act 2 makes it perfectly clear how much of a loving father he was to Sam and the audience eventually falls in love with him. Director Valerie Curtis-Newton did an outstanding job with casting. She also excelled at giving the show such lovely flow and blocking and finding the humor in this emotional show. Set design by Matthew Smucker was also superb. 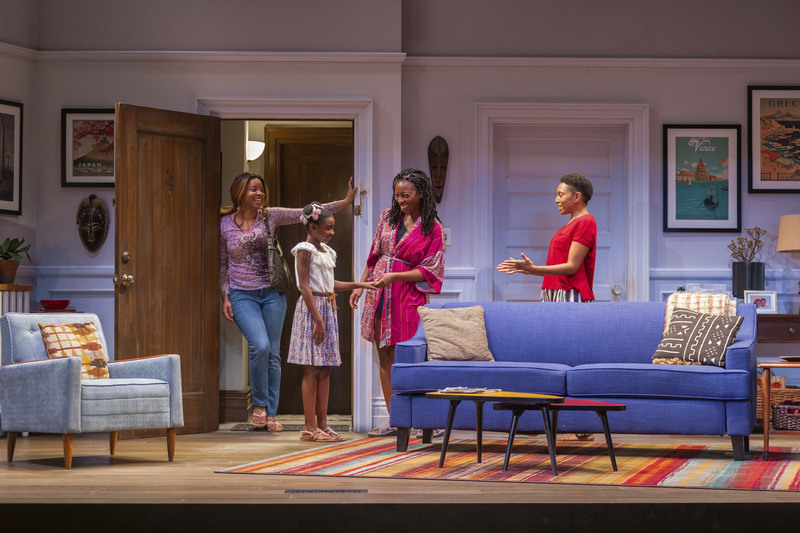 I loved the modern looking NY apartment that looked like anyone in the audience could move in right away. I cannot stress enough that if you want an extraordinary evening of theater you MUST see this memorable show, just don’t forget the kleenex. 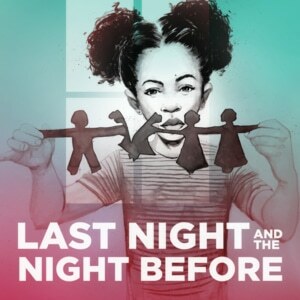 LAST NIGHT OR THE NIGHT BEFORE is moving audiences now through February 24th at the Ricketson Theatre in the Denver Center Complex. For tickets or more information, contact the Denver Center Box Office by calling 303-893-4100 or online at www.denvercenter.org.